We are going through a difficult historical period and an unexplored financial sector. We have learned that even the banks can fail, taking with them the savings of the customers and in the near future we expect years of negative rates and high volatility in investments. In order to ensure to ourselves, to our children and our grandchildren financial autonomy, which allows us to maintain a decent and increasing standard of living, it will be important to have independent tools for analysis. We can not base our financial decisions on newspaper articles that tell us an optimistic reality when we should watch out, and they frighten us when it would be the time to make real deals. By the ‘aseptic’ analysis of market movements we can get key informations that nobody will ever tell you. 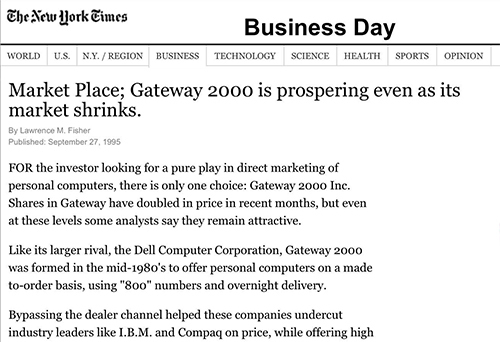 From the end of year 1999 and the beginning of 2000, people started a runaway purchase of any kind of internet stocks, no matter their cost. Because of this frenzy, the stock indexes reached prices that were exorbitant by comparison with the present and future earning of the quoted companies. In this situation many Media gave optimistic news about market and economy development thus promoting people to buy stocks. Unfortunately the stock price were excessive in comparison to the company earnings! Don’t think that the tragic event of the Twin Towers attack in 2001 caused the draw-down, because as you can see in the chart, it was already started and the that event just sped up the trend. Panic and fear took over among the small money saver causing a remarkable and inevitable market crack. 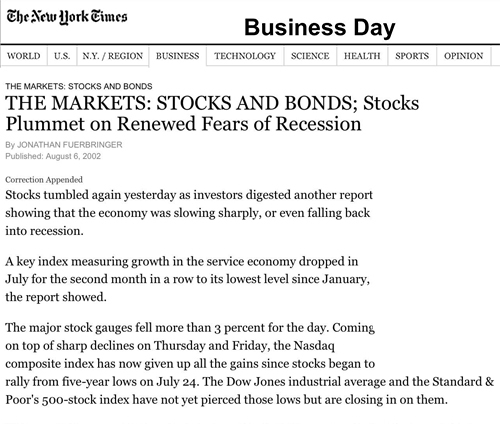 After more than two years of stock market drawdown and after the economic recession, year 2003 begins. When stocks lose between -50 and -70% people are frightened that this drawdown will continue, so they sell their portfolio making the loss concrete. It often happens that media draw attention to the negative news increasing mass uncertainty, but it is actually in these moments that you make real profit! After five years of stock market rising and forgotten the 2000-2003’s drawdown, in 2006-2007 new circumstances cause collective fear. In this case the banks are the reason of this shock, because they superficially gave loan to insolvent creditors. This is not a new situation in the financial world, as you can read in the market analysis, and it peaks with the failure of the Lehman Brothers bank. But, don’t be fooled! 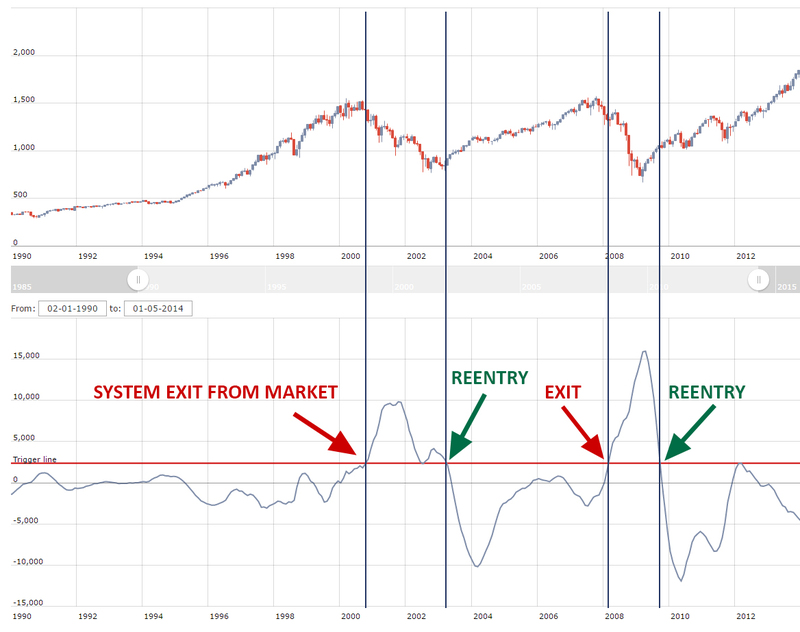 …once again, silently the market had already reversed the trend before this event, and the media started to analize what happened only after some time. Does the line remain below the TRIGGER LINE ? Here is a BULLISH trend = Corrections are TEMPORARY. Does the line cross over the trigger line ? That’s a turnaround = The trend becomes BEARISH until the wavy line crosses down the trigger line again. Make this system become YOUR instrument! You will be more independent, more critical and more aware in your investments. Make a subscription that will give you the opportunity to live a more peaceful future.